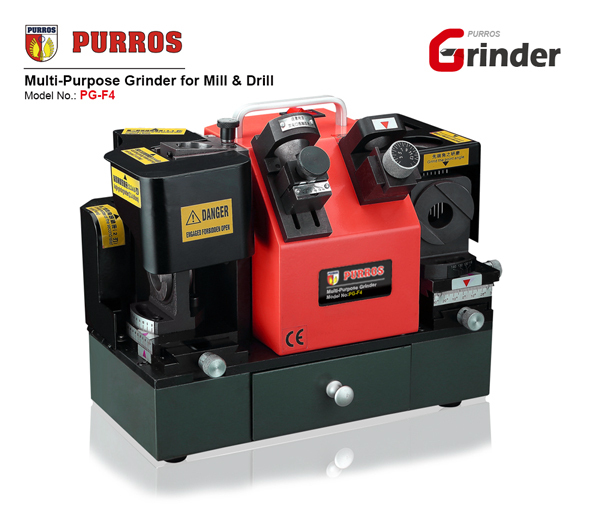 PURROS PG-X6R Spiral End Mill Sharpening Machine, Grinding Ranges Diameter: Φ4-Φ14, Grinding Point Angle: 0°-5°, Power: 220V/180W - Purros Machinery Co.,Ltd. 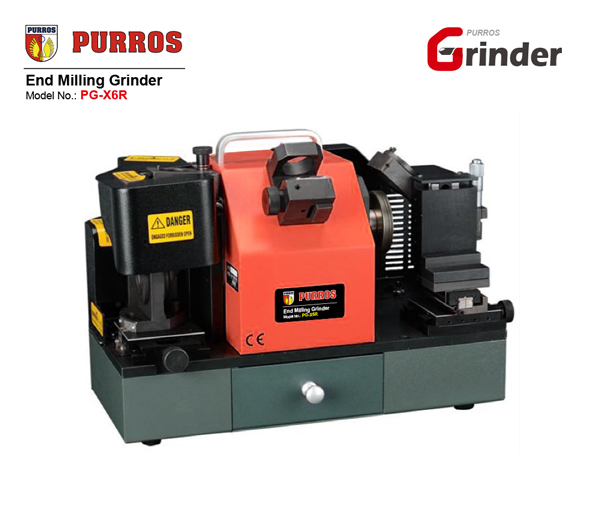 End mill grinder is a versatile grinding device that can be applied for cutting operations which need to be done in different angles. 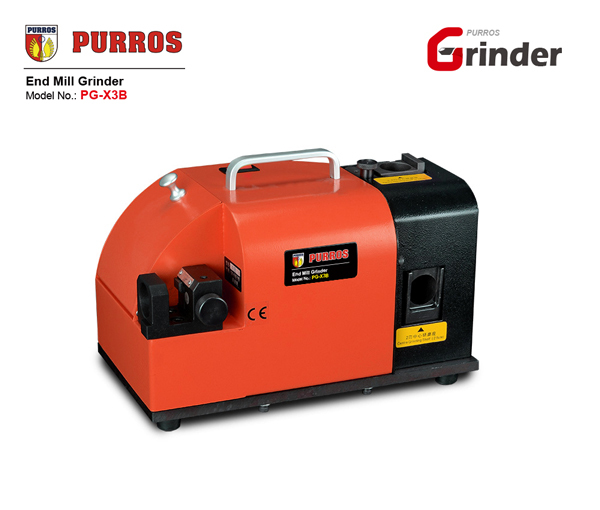 PURROS PG-X6R Spiral end mill grinder can grind 2-flute, 3-flute, 4-flute, 5-flute end mill (bigger than 12mm can grind 6-flute end mill). 1. Portable idiot end mill grinder, can grind 2-flute, 3-flute, 4-flute, 5-flute end mill (bigger than 12mm can grind 6-flute end mill). 2. 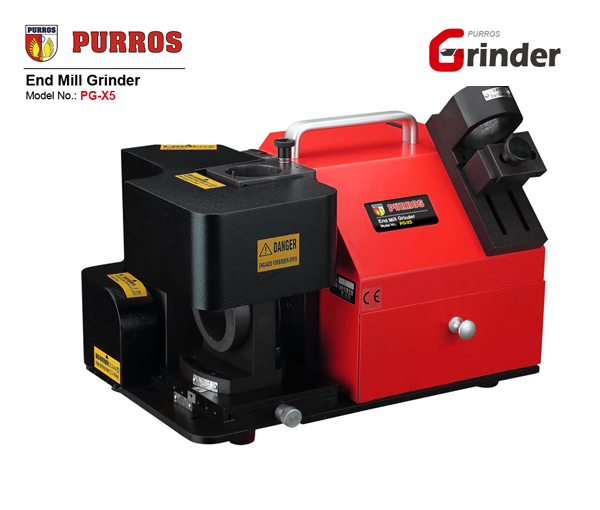 It can grind the radius of corner radius end mill as R0.3, R0.5, R0.8, R 1 or R0.5，R1 or R1.5, R2. 3. 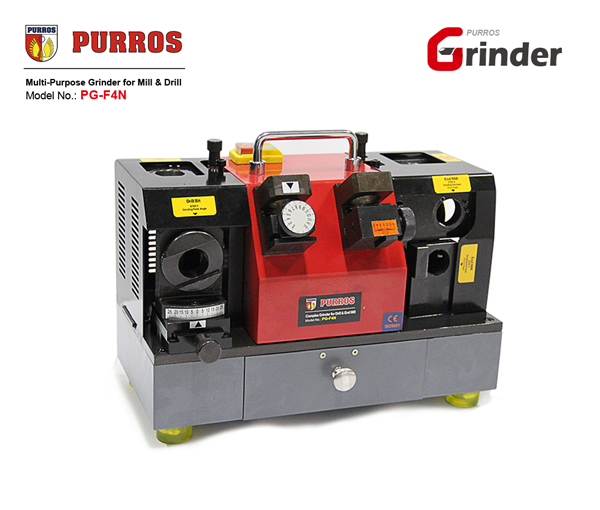 Grinding is accurate and rapid, easy operation without skill to grind. 4. 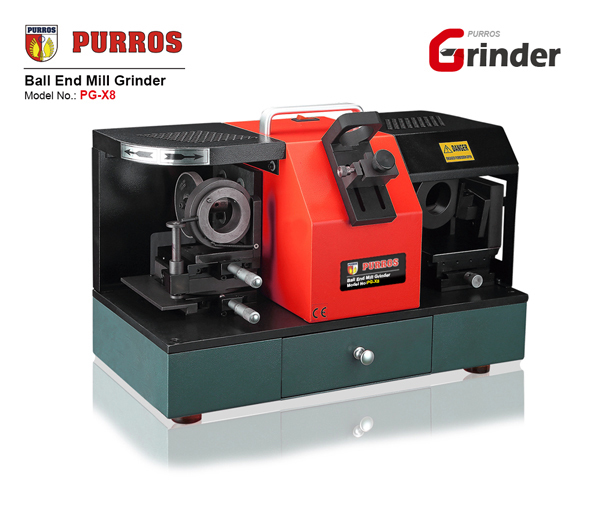 With Taiwan diamond grinding wheel, only one piece can complete all procedures. 5. It can be equipped directly with an accurate angle and long service life. This PG-X6R Drill Bit Sharpening Machine works great. As anyone who has used dull bits knows, it takes much more time and effort than using a sharp bit. Not to mention sharp bits are more accurate and don’t blow out the back of the hole, especially on wood. 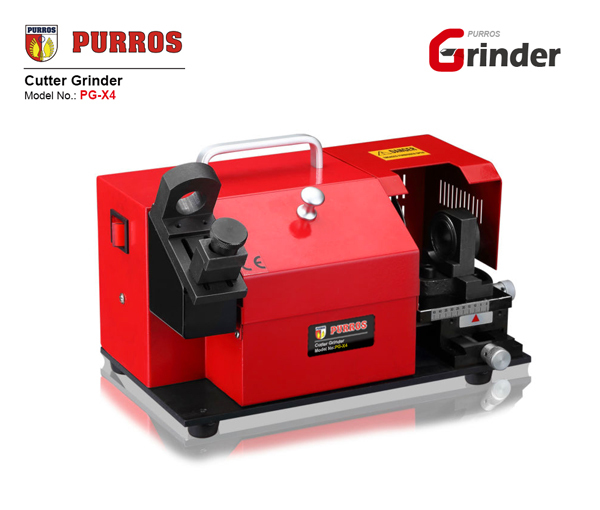 With the PG-X6R Drill Bit Sharpening Machine you can sharpen a bit in a few seconds. If the bit is really damaged, it may take a couple of minutes initially, but that’s only to get it back into good condition. There is a small learning curve to figure out how to set the properly into the chuck, but after that it’s quick and easy. I would definitely recommend this. It will save you much time and effort in the long run. Must have for anyone using drill bits. Tested the first 5/16 bit on 1/8″ flat steel without drilling a pilot hole, worked good. The split point feature is awesome! I’ve been sharpening bits with my bench grinder for over 50 years with success. Though that success was not effortless and as you would know, that didn’t come without a great amount of trial and error. This PG-X6R Spiral end mill sharpening machine makes it much easier to do, both for mechanics and newbies, no re-grinding/trial and error when bits wear down, the cut points and angles change plus, they cut the first time and much better. Note: A little lube (vaseline) on the chuck where it rubs on the guide pin seems to smooth up the operation helps. And, it wouldn’t hurt to have an extra sharpening wheel ready. Also, good thing for the on-line instructions. All in all, a must have tool.